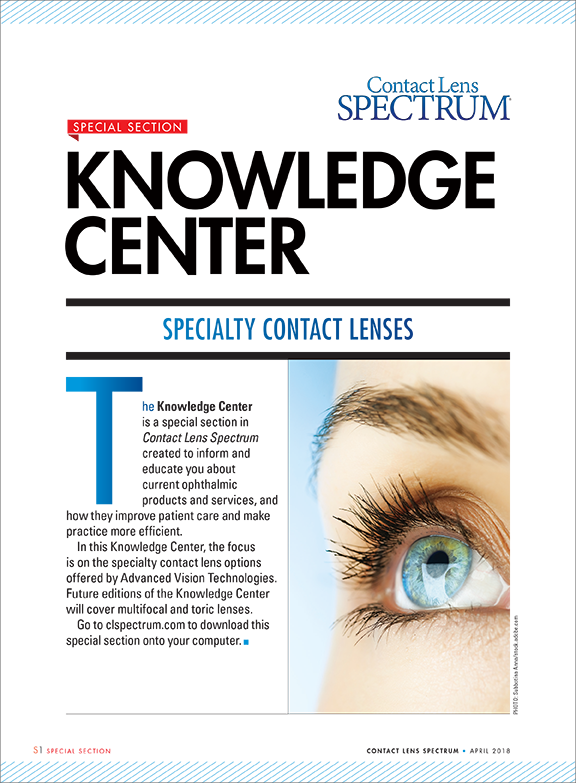 The Knowledge Center is a new, periodic special section in Contact Lens Spectrum created to inform and educate you about contact lens products, and how they improve patient care and practice efficiencies. 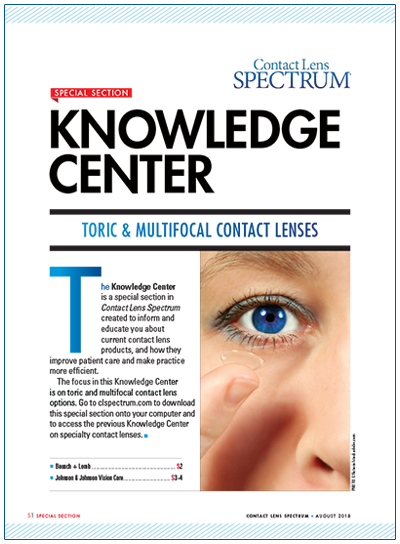 Click here to learn more about toric and multifocal contact lens options. Click here to learn more about specialty contact lens options. 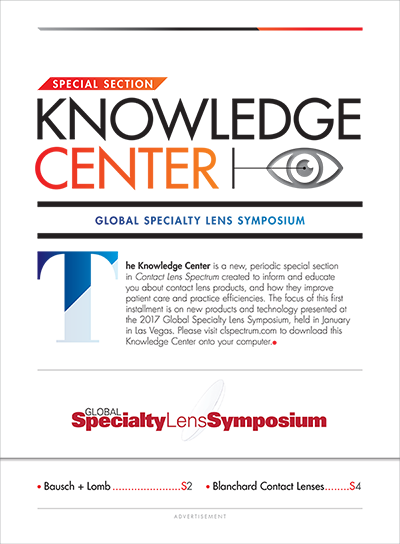 Click here to learn about new products and technology presented at the 2017 Global Specialty Lens Symposium.